Protect from unwanted moisture & pests. Hinged top keeps out rain & debris. 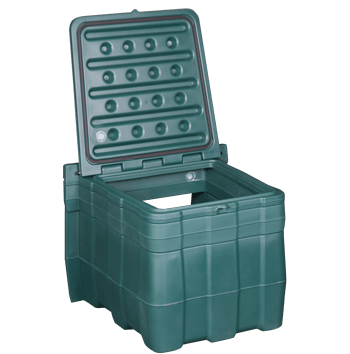 Strong, secure design includes locking capability. Maintenance-free: no painting or refinishing necessary. Immune to mold & moisture damage. Easily replaces an open entry well for a crawl space door. The Turtl™ is only available from a certified installer in your area. Contact us to request an inspection & get a free cost estimate to have it installed in your home. Clean, dry, tough & secure. Click on this video to see the Turtle in action. 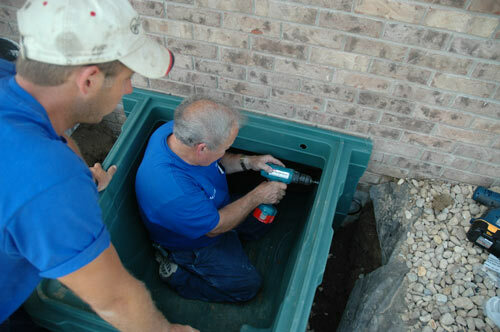 If you believe in the old saying that “anything worth doing is worth doing right,” you are sure to appreciate the advantages of our Turtl Crawl Space Entry System. 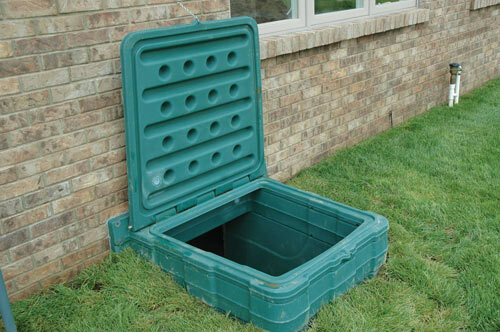 If you have a crawl space door located below grade level in an open well, upgrading to The Turtl™ entry system is a smart idea. The “standard” crawl space door leaves a lot to be desired. It’s often made from plywood or boards that soon show signs of weathering like peeling paint and cracked or warped wood. To make matters worse, this type of door fits loosely enough to easily admit insects, rodents and frigid winter air into your crawl space. An open well around the crawl space door soon fills with leaves, twigs and other debris. 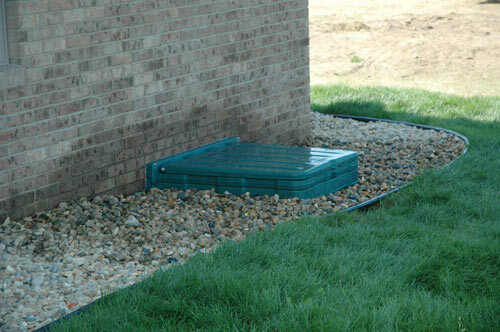 It can also fill with water during wet weather, causing your crawl space to flood. 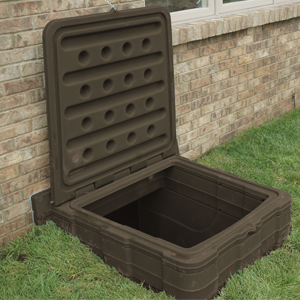 Sized to protect most crawl space doors, the Turtl® Crawl Space Entry System consists of a reinforced shell made from plastic and a hinged plastic top that seals down securely and can be locked to prevent entry. 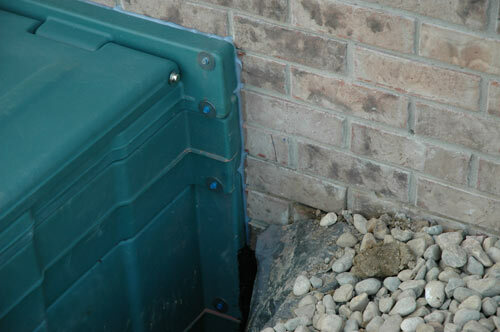 When installed correctly, the Turtl’s hinged top can take the place of a standard crawl space door. The Turtl™ System is a permanent improvement that can’t be damaged by moisture, sun or bad weather. With no painting or maintenance required, Turtle is truly trouble-free – a great way to keep your crawl space clean, safe and secure and your home exterior looking good. 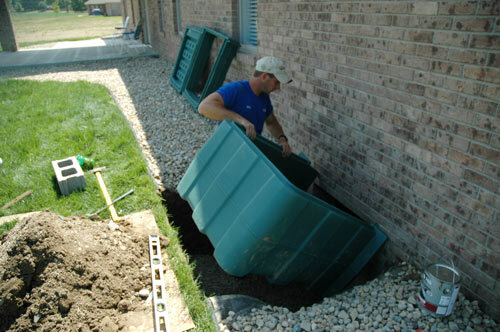 Basement Systems offers a wide range of crawl space solutions, designed to provide customers with a dry, clean, easily-accessible crawl space. 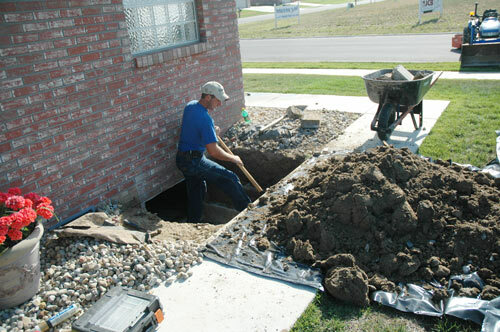 Basement Systems has dealers across the nation who are certified to install The Turtl™ Crawl Space Entry System. Call us at 1-800-638-7048 or contact us online to schedule an appointment with your local contractor!